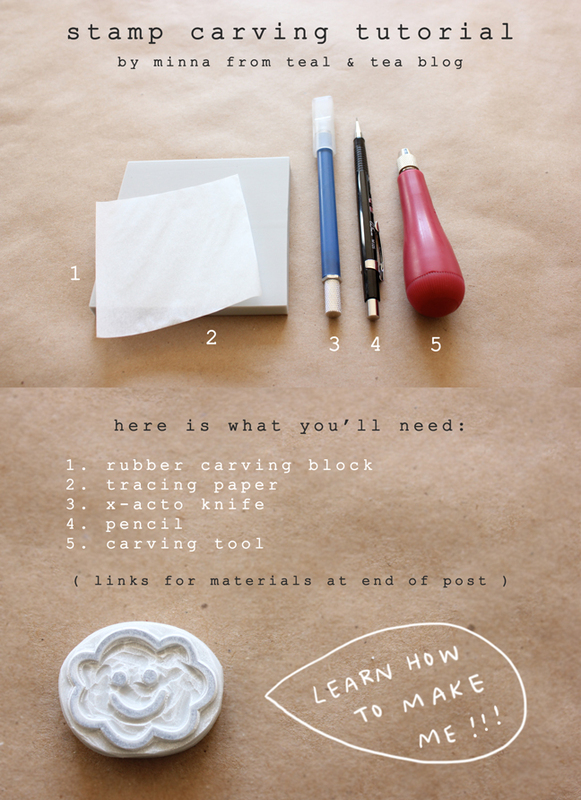 teal + tea blog: diy hand carved stamp tutorial! 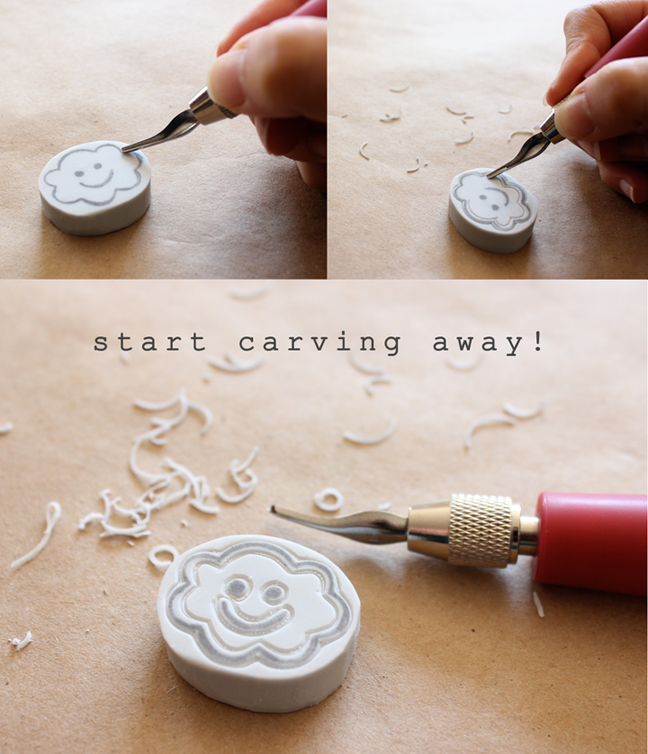 diy hand carved stamp tutorial! You know what? I've been looking forever for a press for cookies..........I think I just found it. Bonus, I can have any design! if you have any questions just ask! LOVED the tutorial! And love the aesthetic of your blog - so pretty! 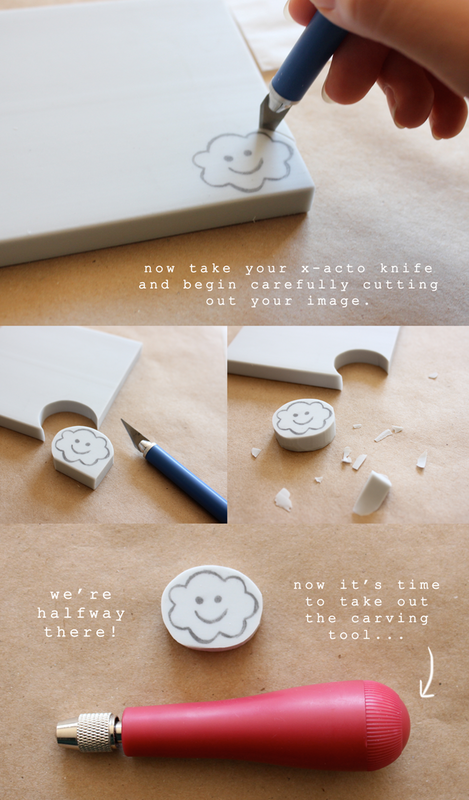 Your blog makes me smile :) Loved the tutorial, too! Awesome tutorial! Definitely want to try this. Just discovered your lovely blog through the Etsy blog team. Thanks for the tutorial! I have all the supplies (I got them last summer, but have never took the plunge yet!) And I love your happy cloud stamp! I just wanted to say a very warm thank you for this tutorial. I'm in finals week for my Illustration MFA at grad school, and my final project will involve rebranding my jewelry business. I already knew I wanted to re-illustrate my logo, and now I have a step I can take to go farther with the project with my packaging! 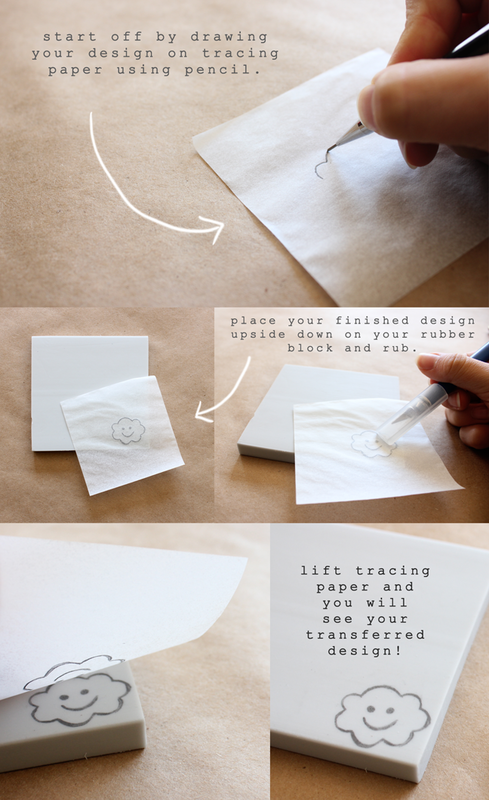 This DIY tutorial is absolutely wonderful and adorable! 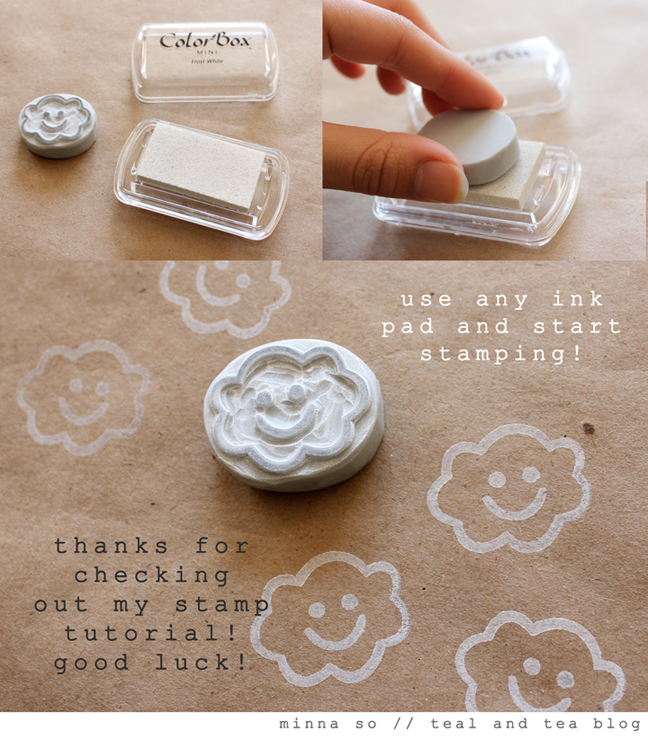 I love the cloud stamp, your photography and blog layout! So nice to meet you through Etsy’s Blogging Buddies Team. Wow...this is great! I'm a new blog follower - found you through Etsy's BB team. Looking forward to more of your posts. Hi! I'm Tristan, I'm your newest follower. I love this tutorial and looking forward to seeing what you post in the future! Interesting blog! This is unbelievably easy! Thanks so much for sharing and inspiring. 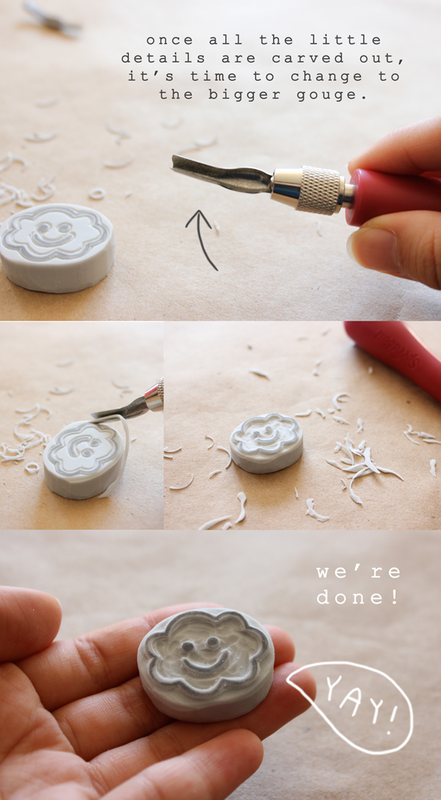 Crazy, I just did a stamp DIY on my blog too! I'm only just getting started and I used linoleum. It was harder to carve than I thought it'd be. I think I'll go out and get a rubber block next time. Thanks for this! Great!! thankg is wondderfulll!!!! fantastic. Beautiful photography and a nice tutorial! I've read through every stamp carving tutorial I can find online plus I now have 3 books on just that topic (it's a hot topic - 2 of the 3 just came out within the last year!). One answer I can never find is whether anyone has any tip or tricks for cutting around very small circles - specifically eyes. I've been practicing and I've made a lot of stamps, but every time I do a face I have a terrible time getting the eyes right. They are either irregular, too big, too small, unmatched, or end up being lopped off altogether. I get the best luck from using the smallest Speedball gouge and holding it still while I turn the piece, but that often results in spirals. 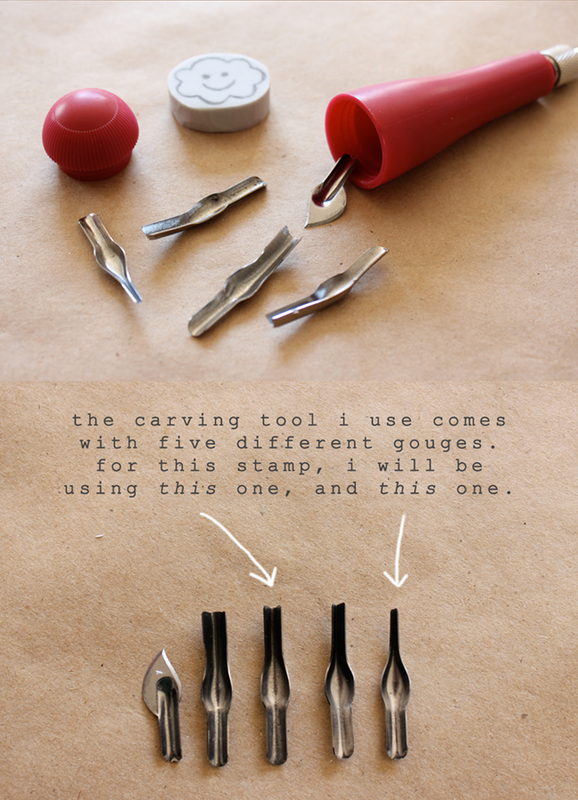 I think I might have more luck with an even smaller gouge, but the micro-gouges I've found (made for carving wood) are pretty pricey. If you or any of your readers has any tips, I would really appreciate it! Peace! Hello, thanks for your help and great images. Tell me where do I get de Color boxes in many colors ? Here in Perú we don´t have enough variety. Only black-red and blue. Where are they from ? Awesome tutorial. I am using it for my CubScout den meeting tomorrow. Thanks! at my new blog! thanks! it to be removed, please email me! 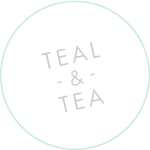 © 2011 - 2012 Teal & Tea. Powered by Blogger.